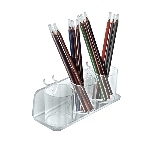 Are you looking for a creative display that comes with multiple purposes? 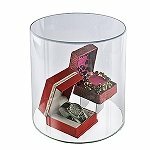 Acrylic Cylinder displays do exactly that! 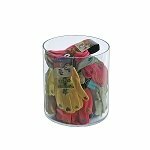 Available in an assortment of shapes and sizes, cylinder displays can meet almost any exhibiting needs that may occur. 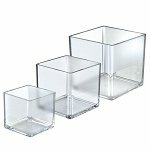 These containers are durable and allow you to get creative with your product displays by adding height definition. 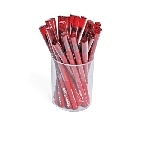 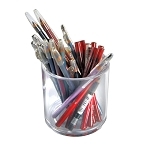 When you use our acrylic cylinders as display cups, your individual items are kept organized and shown off in a stylish and professional manner. 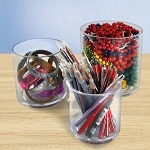 The clear acrylic cylinder displays work wonderfully for a variety of items like cosmetics, hardware, pens, and more. 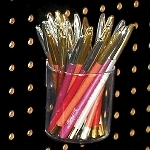 So add your sales sign to allure more attention towards your merchandise displayed. 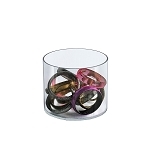 That’s not all you can do with these versatile acrylic cylinder displays though! 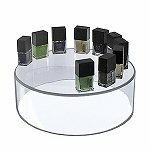 Flip our round acrylic containers over and now you have a table riser display for adding height and diversity to a variety of items such as perfumes, collectibles and food dishes on buffet tables. 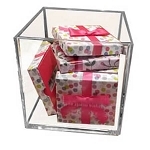 Customers will be lured in by the varying heights your display possesses. 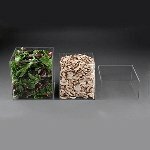 Do you want to get even more creative with your showcase? 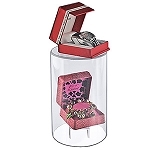 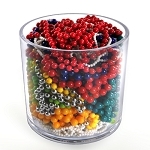 Use these clear cylinders as an enclosed showcasing display case! 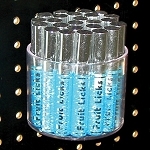 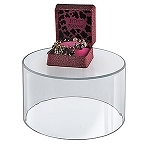 Simply place an item, such as a bracelet, under this acrylic riser. 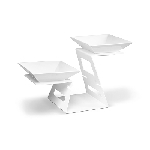 Combine with matching earrings to sit on top and now you have a complete set ready to be admired and sold to your patrons. 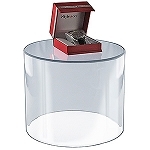 You simply can’t go wrong when you invest in acrylic cylinder displays and risers. 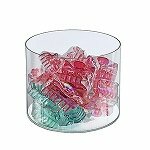 These clear containers are the ultimate in blending with any design theme that may already be set up. 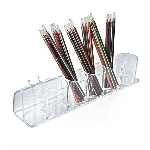 Refresh an existing exhibit and stack them to add even more visual interest towards your merchandise. 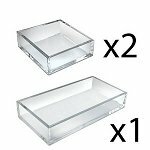 Go ahead and make the most out of your counter space.